The development proposal is to construct three, six story buildings on the surface parking lots between the existing apartment towers. 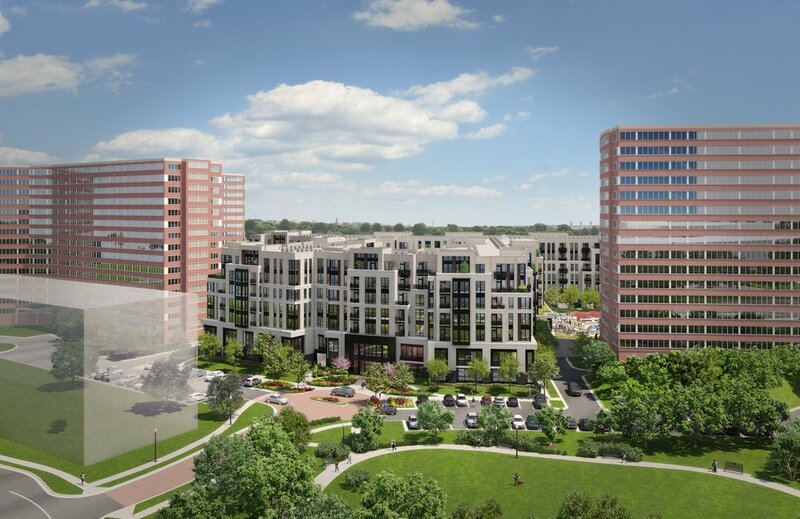 This configuration locates units closest to Pentagon City and Metro, leaving undeveloped the southern parking lot adjacent to the duplexes and single family houses to the south. Two development options were submitted. One is for 933 residential units and 29,900 SF of retail. The second option is for 966 residential units and does not include retail. A significant amount of unused parking between the RiverHouse towers will be the primary location for the proposed development. The proposal seeks to reduce excess parking spaces to what is utilized, which is less than 80% of existing.